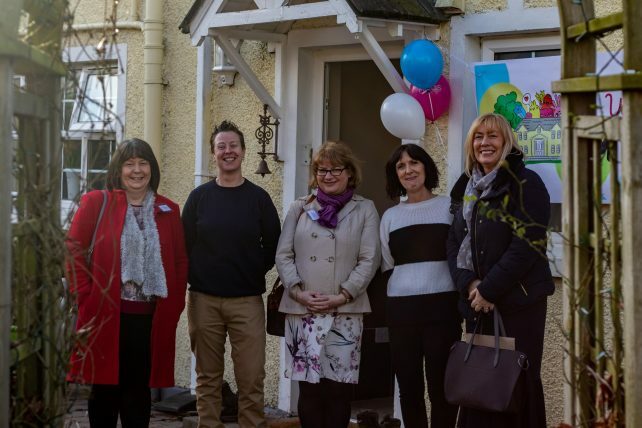 (L-R) Christine Henderson, Department of Health (DOH); Sinead O'Flaherty, MACS; Elaine Lawson, DoH Head of Looked After Children & Adoption Policy; Mary Ryan, MACS’ CEO and Isobel Riddell, DoH celebrate the opening of MACS Children’s Therapeutic Community in Dundrod. MACS have opened My House – an innovative, first of its kind care setting in Dundrod, County Antrim. The therapeutic community house will become home to a handful of children aged 6-12 years old, who have been exposed to some of the most severe adverse childhood experiences (ACEs) in NI. We transformed a beautiful Country house in Dundrod, into a homely environment for three children with complex needs which cannot be met in mainstream children’s homes or foster care. In 2017/2018 there were 3,109 children in the care of the HSC Trusts. This was the highest recorded number of children in care since the introduction of the Children (Northern Ireland) Order 1995, representing 71 children per 10,000 of the child population. At present there are a small, but significant number of young children in NI who have experienced unimaginable early childhood trauma. These children have complex needs which can include developmental delays, difficulties in communicating and, or regulating their emotional responses and behaviours. Without the appropriate support these children’s placements inevitably breakdown and they are moved from pillar to post throughout their young lives. We are excited to be able to offer the five Health and Social Care Trusts in NI this additional, alternative setting for the children who really need it. We’ve never been a risk adverse organisation. We do things differently and we’re proud of our commitment to developing services that give hope to every child in NI. 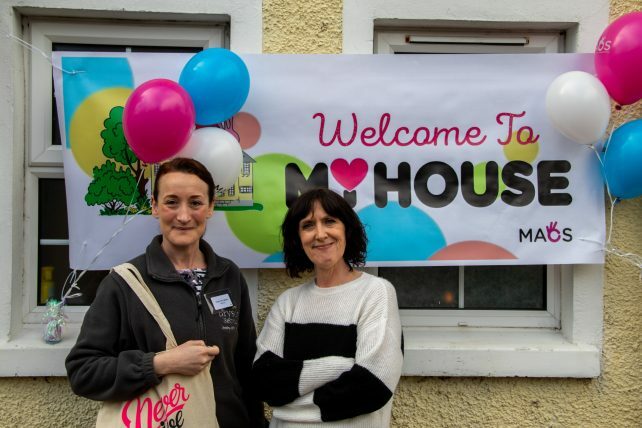 Established in 1990, we began with just one 5 bedroom house which offered a groundbreaking response to the lack of moving on services for young people leaving care in NI. The community will be staffed by house ‘parents’ who work longer than usual shift patterns to provide continuance of care. This is important for children who have attachment difficulties because of a lack of early consistent care from their parents and primary care-givers. A child psychologist will also be on site regularly working as part of a multi-disciplinary team which draws on skills from social work, teaching and social pedagogy, occupational therapy and psychology. The house is set in 5 acres of fields and forest where children are encouraged to play and explore in surroundings that have been designed and equipped to help them self-regulate their emotional states and behaviours, in line with the ‘Just Right State’ programme of sensory integration. Sensory processing/trauma and attachment theories will underpin all interventions with the children. Activities will be core to the life of the house and for each child. Staff will be the main link with statutory partners, education, schools, doctors, youth clubs etc, mirroring what happens in any ordinary household. Being able to live an ordinary life should never be underestimated. We raised the capital investment internally, but we are enormously thankful to Building Change Trust for their early support and to Bryson Charitable Trust and Victoria Homes Trust who helped us renovate the building. We look forward to working in partnership with the HSC Trusts and welcoming the children into MACS therapeutic community.